The How People Learn framework was utilized to redesign the courses Food Chemistry and Advanced Food Chemistry in order to improve undergraduate and graduate food chemistry teaching and learning by creating learning environments that promote an interactive classroom while integrating formative assessments into classroom practices by means of Tablet PCs and associated software. By means of InkSurvey and Classroom Presenter we were able to gauge student learning during goal-directed practice in real-time, provide instantaneous targeted feedback, and make immediate pedagogical adjustments as needed. Course redesign increased student participation and formative assessments while instructors utilized the information gained through real-time assessments to tailor instruction to meet student needs. 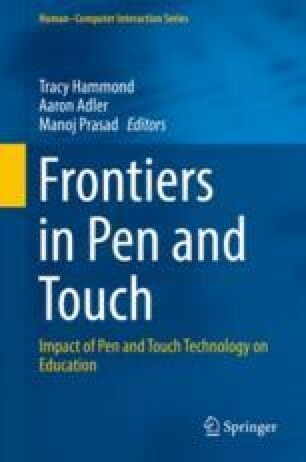 In this chapter, quantitative and qualitative data will be shared, as well as insights and conclusions from our experiences that indicate the effectiveness of goal-directed practice coupled with real-time targeted feedback to enhance food chemistry learning. We acknowledge financial support from HEWLETT-PACKARD through the HP Technology for Teaching Higher Education Grant Initiative for Latin America for the project “High-Quality Learning Environments for Engineering Design: Using Tablet PCs and Guidelines from Research on How People Learn” as well as within the HP Catalyst Grant Initiative for the project “Critical Support Systems to Enhance the Development of Twenty-First Century Expertise in Engineering Students: Using Tablet PCs and Associated Technologies, the Framework for 21st Century Learning, and Guidelines from Research on How People Learn”. Author Gutiérrez Cuba gratefully acknowledges financial support for her PhD studies from Universidad de las Américas Puebla and the National Council for Science and Technology of Mexico (CONACYT) as well as a postdoctoral fellowship from CONACYT.